Everyone’s in Town! | So Many Exciting and Beautiful Places! Feet still aching, but not willing to waste our last morning in NYC, we headed out right after breakfast. 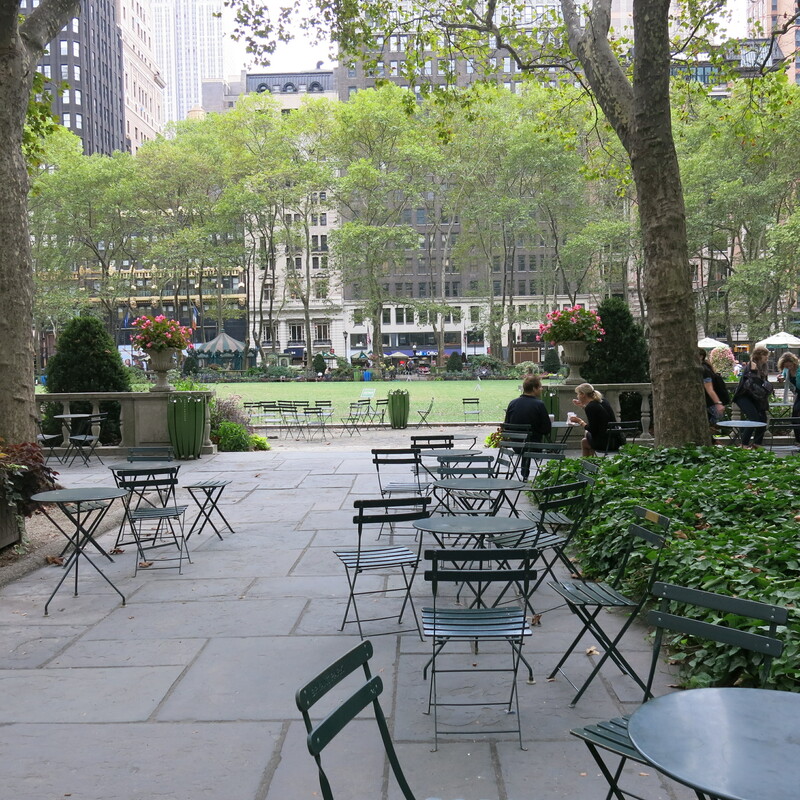 Our first stop was Bryant Park. 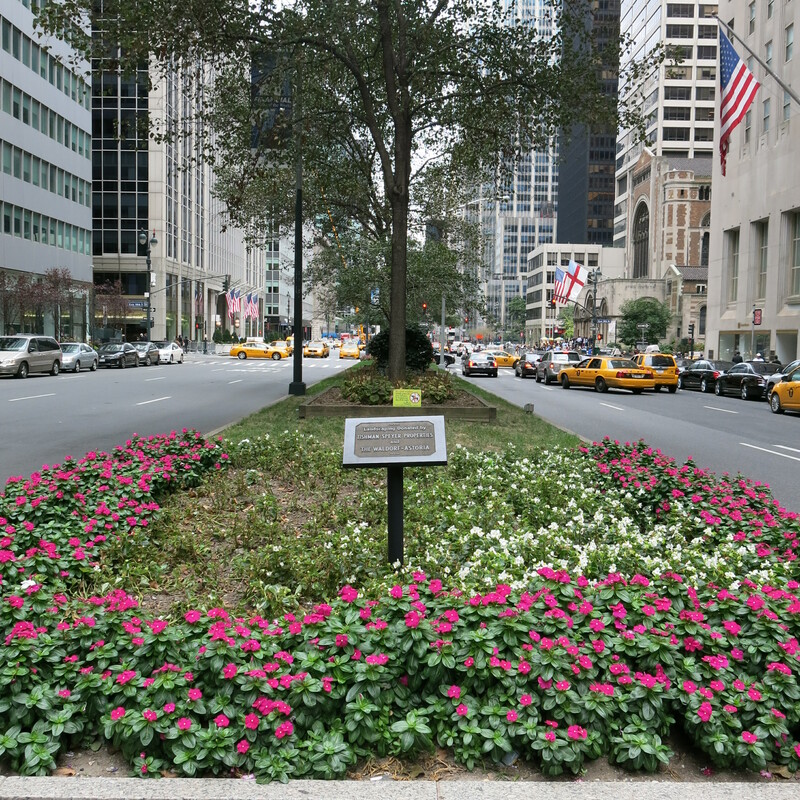 This park is used for many community events, with daily schedules posted at the entrances. You can participate in square dancing, ping pong, juggling, tai chi, fencing, even reading. 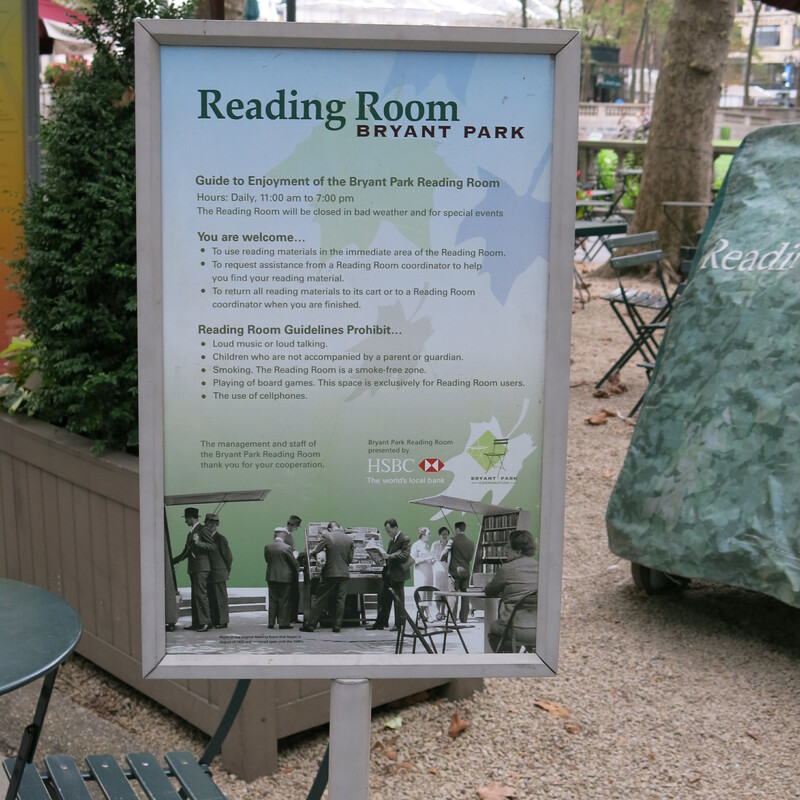 There is an open air library in the park, where patrons can borrow reading materials and read them while in the park. 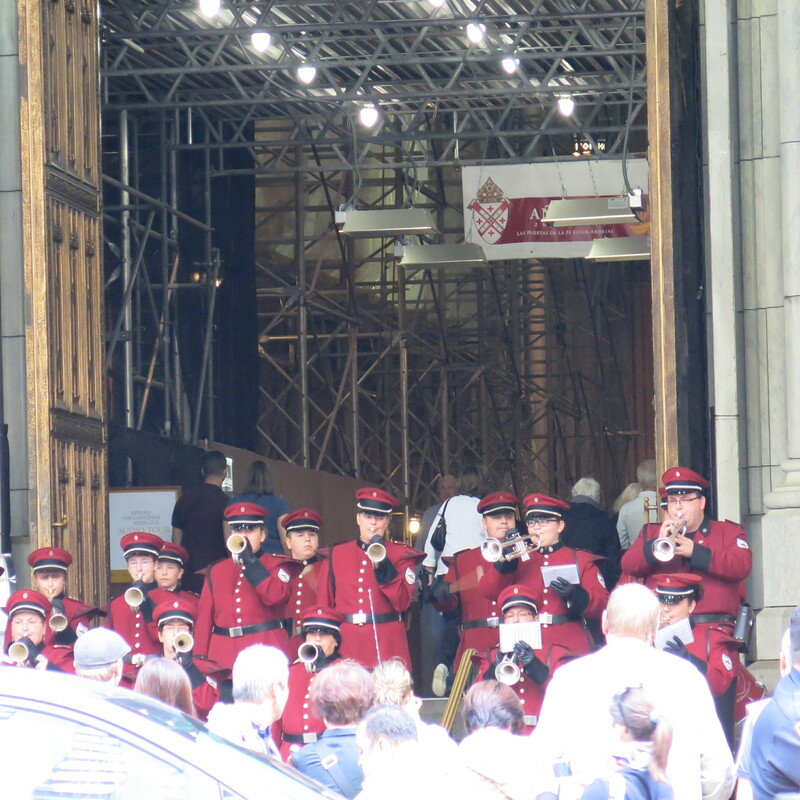 Next stop was St. Patrick’s Cathedral where we were greeted by a German band performing on the front steps, after having attended Mass in the Cathedral. We noticed several other groups gathered nearby so asked what was happening. 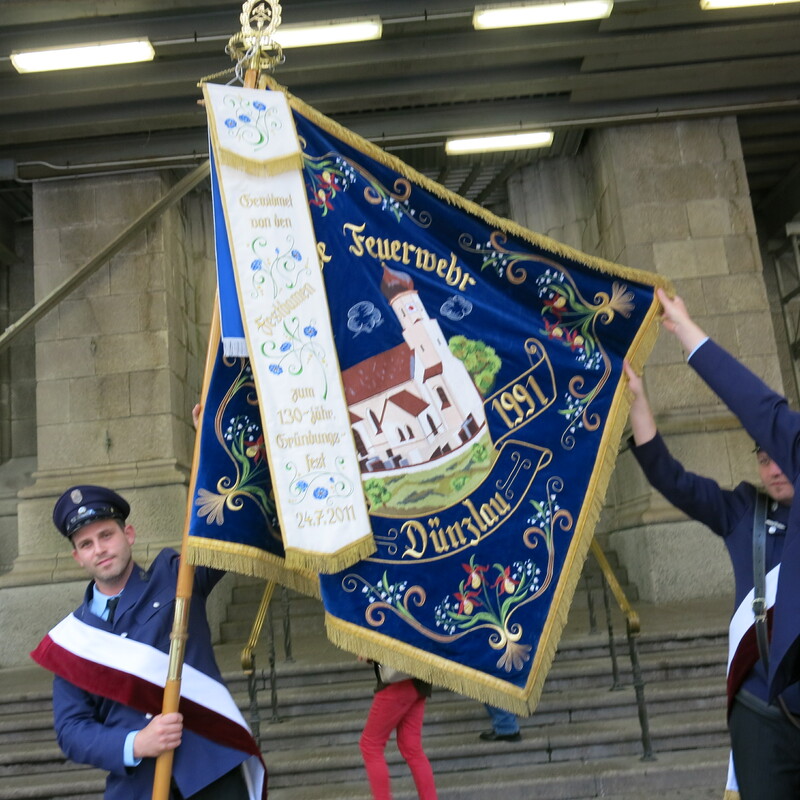 The annual German-American Steuben Parade was being held today. Friedrich Wilhelm von Steuben served under George Washington during the American Revolutionary War, and his role in training young Americans helped make victory possible. Unfortunately, we couldn’t stay for the parade. 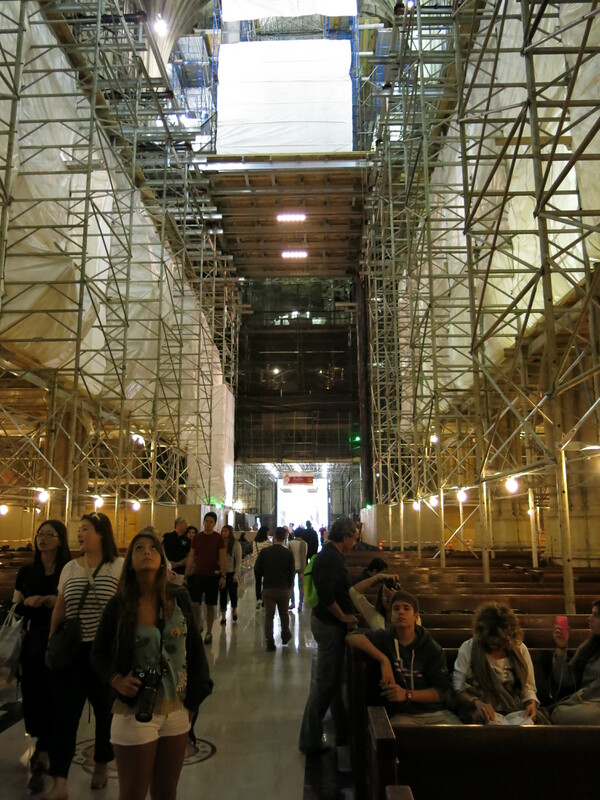 The Cathedral is undergoing an extensive restoration, and is full of scaffolding. 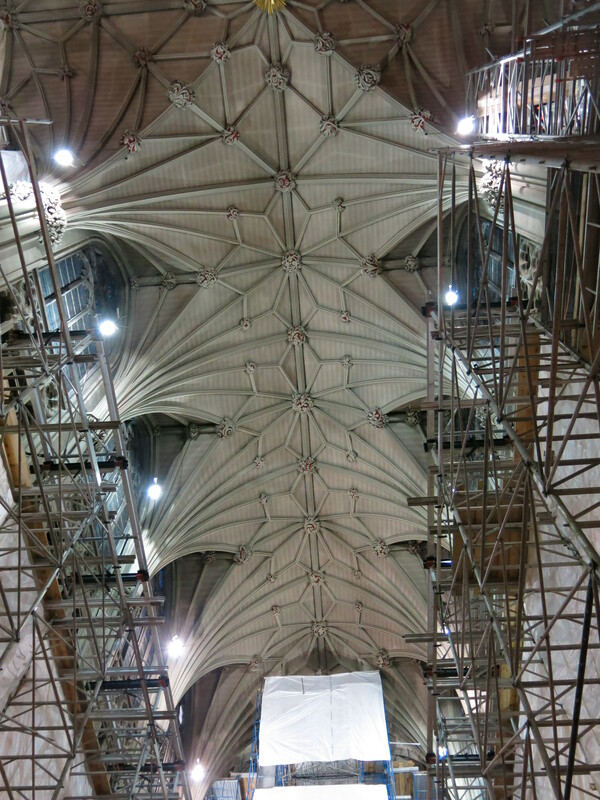 What we were able to see was very impressive, though. 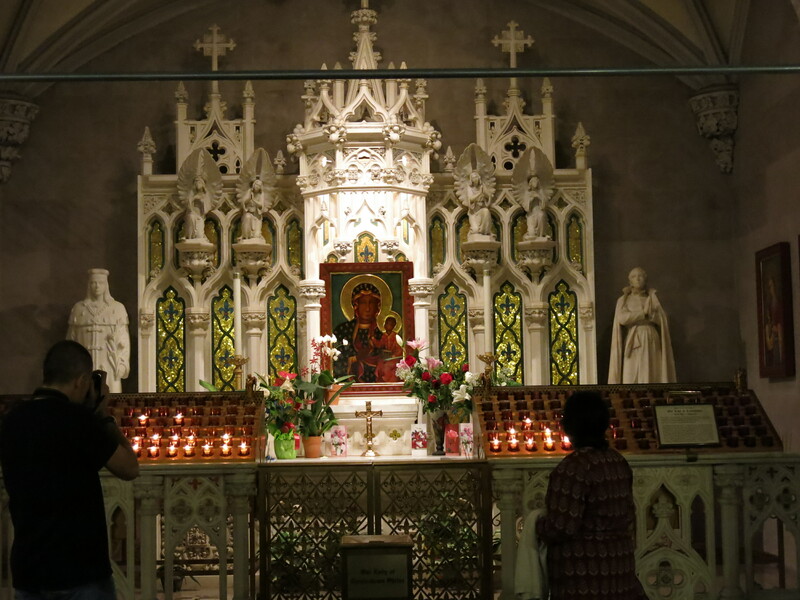 We headed to Park Avenue, and as we were walking along, we noticed people lined up at a church across the street, so we went over to check it out. 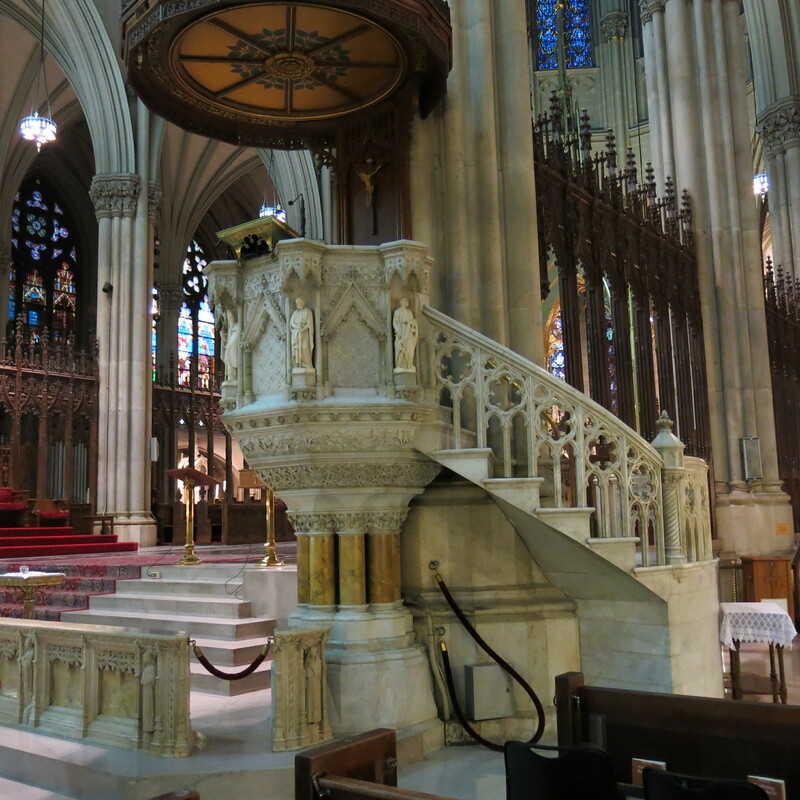 This was St. Bartholomew’s Episcopal Church, and they were being visited by an important personage of the Japanese Buddhist faith. Never did find out who that person was. 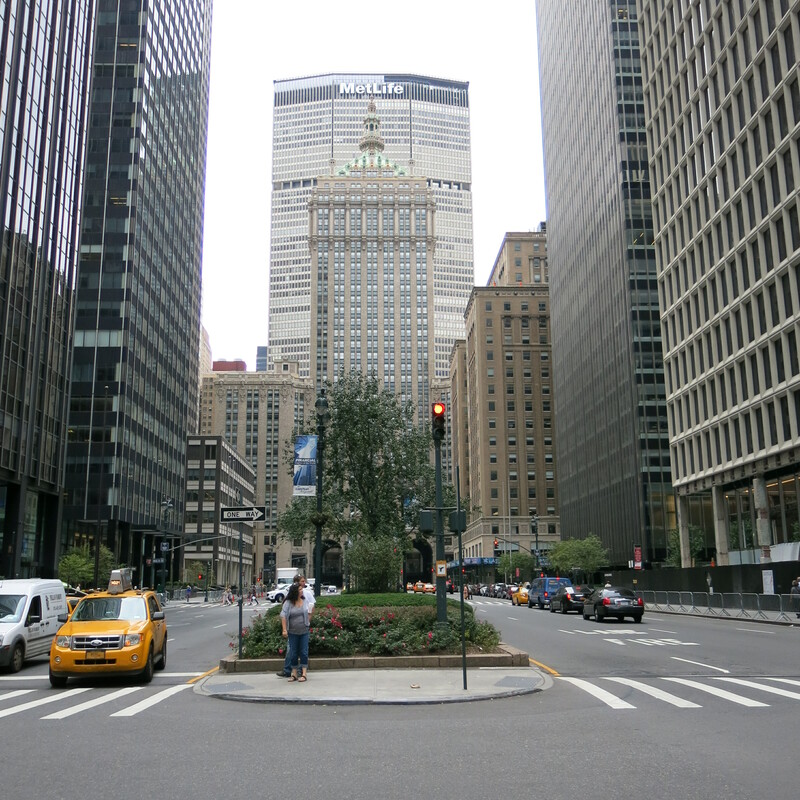 Continued walking, and came upon the Waldorf Astoria, so stopped in to take a look around (and avail ourselves of their facilities.) There, we met some beautifully dressed girls and a young woman from Malawi. They were going to meet the President of Malawi (Joyce Banda), and one of the girls was going to present her with a flower. The President was in town for the upcoming UN General Assembly. 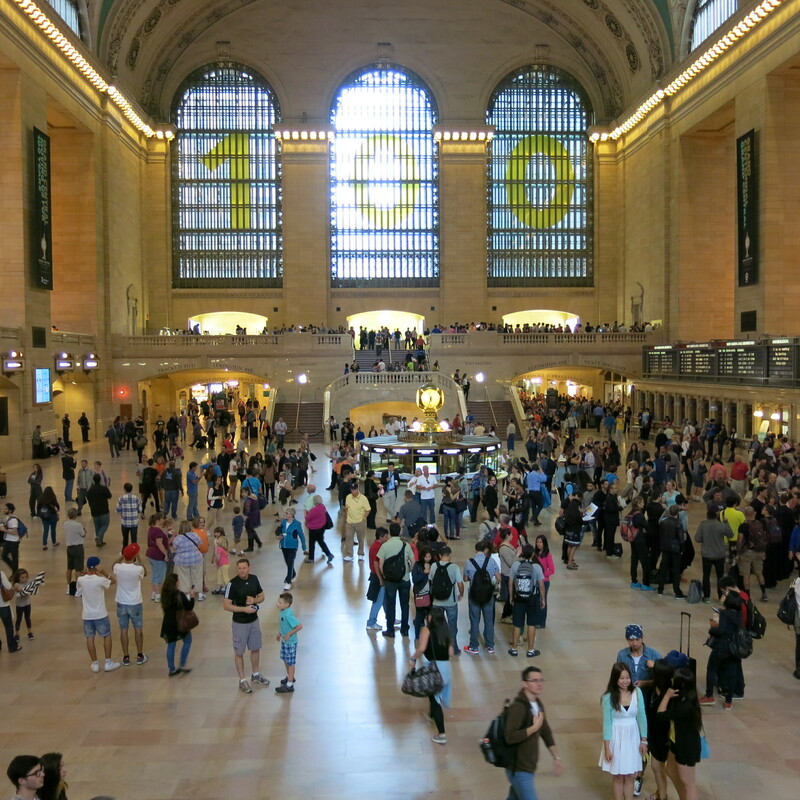 Then, we headed to Grand Central Station, our last stop before having to catch a cab to the airport. Another wonderful trip. 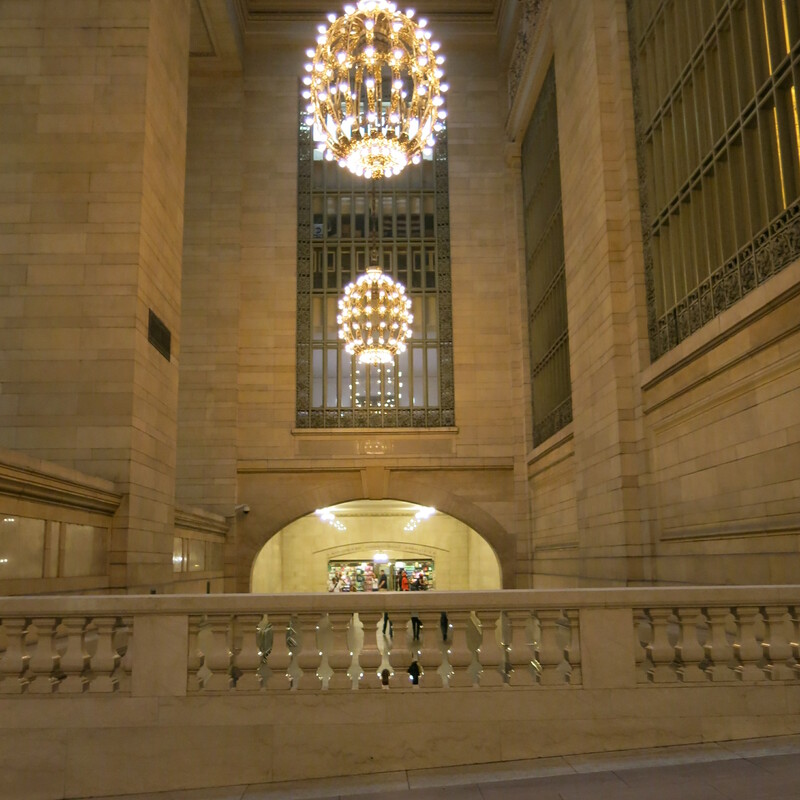 I could easily go back to NYC – there’s so much more to see and do. So long until the next time I hit the road.